A budding journalist followed in his father’s footsteps when he interviewed a renowned children’s author this month. 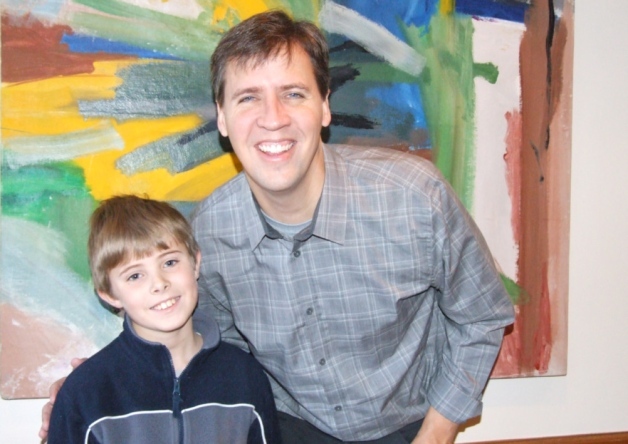 Nine-year-old Ilya Sullivan, a student at Berkhamsted’s Bridgewater School, got the chance to grill NY Times bestselling author Jeff Kinney in London. Jeff, 43, is the American author of the worldwide phenomena ‘Diary of a Wimpy Kid’ series of books and films. Ilya was the co-host with his father, David Sullivan of Berkhamsted. to question Jeff for his internationally syndicated TV series ‘Principles of Literature’. Young Ilya even got to see himself as a cartoon character, as author Jeff sketched him in the ‘Wimpy Kid’ style. Afterwards, Ilya was given the once ina lifetime chance to tour the new BBC Broadcasting House, during which time he visited the set of The One Show as well as the newsroom of the international operation.